​ways for herbal knowledge to be shared with a wider audience. 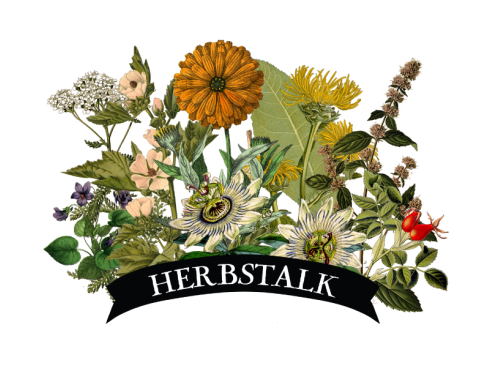 ​Herbstalk was founded in 2011 by wife-and-husband team, Steph Zabel and Henry Kesner. With a shared love of plants, they originally met while working in a botanical museum. At the time Steph was an herbal student and felt called to create a gathering for people of all backgrounds to exchange and celebrate their plant knowledge. When Steph asked Henry to help create the kind of community event that she envisioned, he enthusiastically agreed and instantly came up with the name "Herbstalk"! Together they are the creative force behind the organization. Steph has loved plants since she was a young girl growing up in South Carolina. Her botanical inclinations led her to studies in plant science and horticulture; she also holds a master's degree in ethnobotany. She has been fortunate to have lived abroad -- in Spain, Mexico and Dominica -- to study botany and plant medicine in these places. Upon moving to Boston Steph continued her herbalism studies, worked in the botanical collections of the Harvard University Herbaria, and launched her business Flowerfolk. For over a decade she has combined her passions for herbalism, education, and connecting people with nature. As Herbstalk's founder and vision maker, she oversees all the logistics for the event, and dreams up new ways that the organization can have a greater impact. She believes that gathering people together to learn and share in a joyful environment can have life-changing effects. Steph envisions Herbstalk as a catalyst of change, healing and collaboration on both individual and collective levels. Henry was born on a mountain top in Tennessee. Since an early age, Henry has loved exploring and studying the natural world. A huge fan of children’s literature, Henry is deeply inspired by the classic work of Dr. Seuss’s The Lorax, and has always sought out ways to serve as a voice for plants. For Henry, Herbstalk embodies this vision as a perfect way to educate a wide audience about the power, use, and wonder of the plants that surround us on a daily basis. Henry brings his event, project, people & operations skills to the Herbstalk team. Beyond being Herbstalk's Co-Founder, Henry is also the Volunteer Coordinator and Chief of Practicality, ensuring that Herbstalk will run smoothly for years to come. He is honored to be part of this team and looks forward to sharing Herbstalk with the world! Marissa has been drawn to the world of aromatics and plants since she was a child. Known for her empathetic nature, she was determined to create a life centered around healing others. Certified in aromatherapy, Reiki, and meditation, she actively changes lives using these healing practices. Additionally, she is a holistic life coach, and works towards helping others heal while simultaneously getting in touch with their spiritual side. She hopes to become more educated in the field of herbalism in the future. As Marketing Manager, Marissa draws upon years of experience to oversee Herbstalk’s vendor relations, event management, and marketing campaigns. As a longtime attendee and member of the Herbstalk community, she is beyond thrilled to be a part of the team! Patrice Green is the founder of Green Aromatics, a holistic practice offering education and consultations in many healing modalities. Certified as both a clinical herbalist and aromatherapist, Patrice is also passionate about Reiki and the healing properties of flower essences. She incorporates energy healing and shamanic techniques in her session work with clients and is also an Animal Reiki practitioner. Patrice maintains a mentorship practice with master healer Catherine Miller, which began in 2010. Available for workshops or consultations, she is also a regular contributor to the Herbstalk blog and volunteers at Wolf Hollow in Ipswich, an educational sanctuary dedicated to the preservation of the wolf in the wild through education and exposure. ​Interested in being a guest writer for our blog? Be in touch!